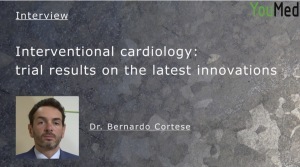 Presentations at international/national scientific meetings Archives - Page 2 of 5 - Bernardo Cortese M.D. 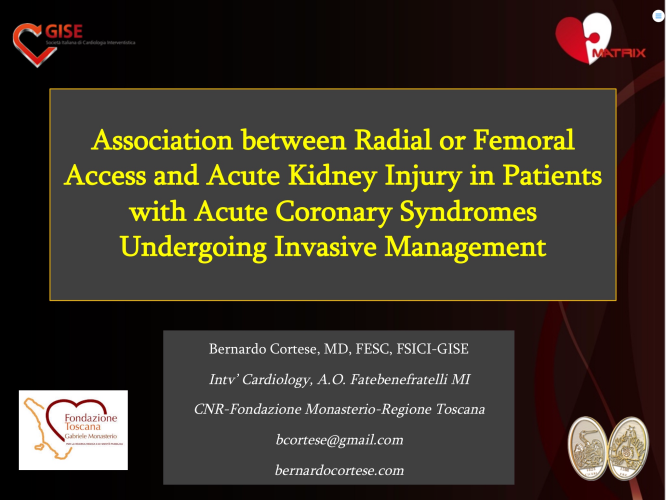 During the EuroPCR 2017, have been presented the Study AKI Matrix – Association between Radial or Femoral Access and Acute Kidney Injury in Patients with Acute Coronary Syndromes Undergoing Invasive Management. 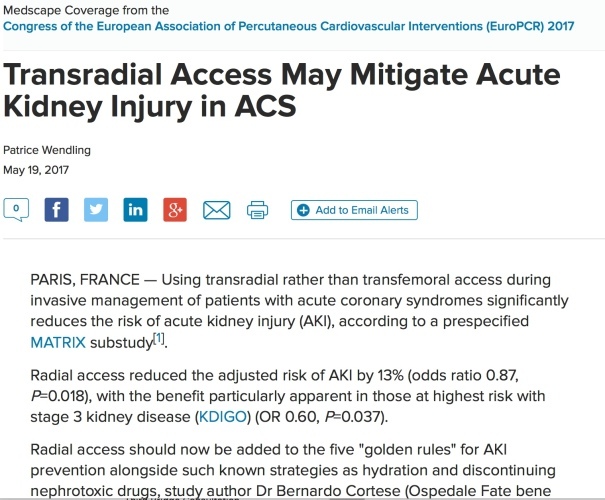 The Objective of the study is to assess the incidence of AKI in patients with acute coronary syndrome (ACS) enrolled in the MATRIX-Access Trial. 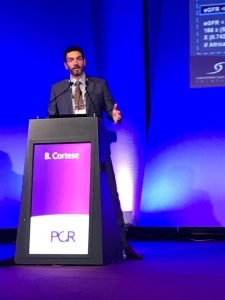 – The results of this pre-specified substudy of the MATRIX Program show how a TR access results in fewer AKIs in ACS patients (both STE and not). – Our findings are consistent in several subgroups. 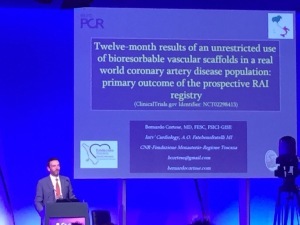 During the EuroPCR 2017, I presented the results of the first year of Follow-Up for the RAI Registry, a spontaneous, multicenter, prospective data collection on consecutive patients undergoing BVS implantation in Italy. 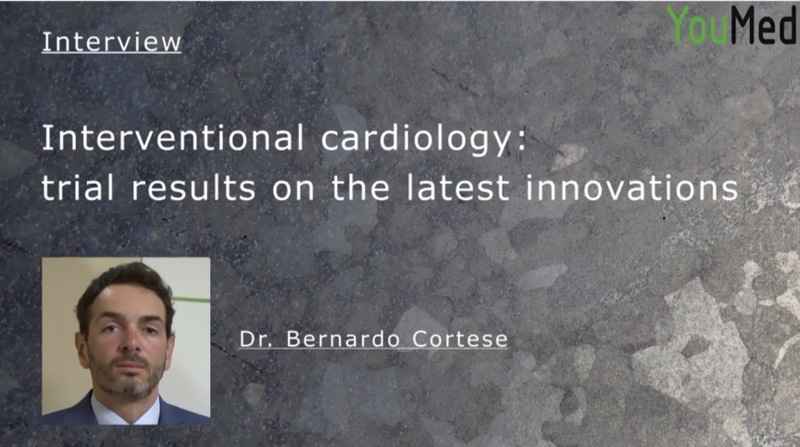 The Objective of the Registry is to evaluate the long-term safety and efficacy of Absorb BVS within an unrestricted cohort of patients undergoing PCI. 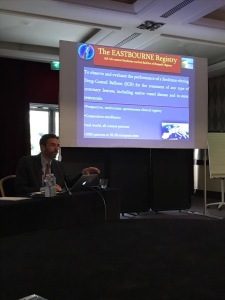 There have been enrolled 1505 Patients in 25 Italian Centers. 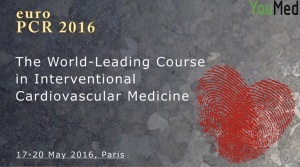 BVS population, with very few exclusion criteria. 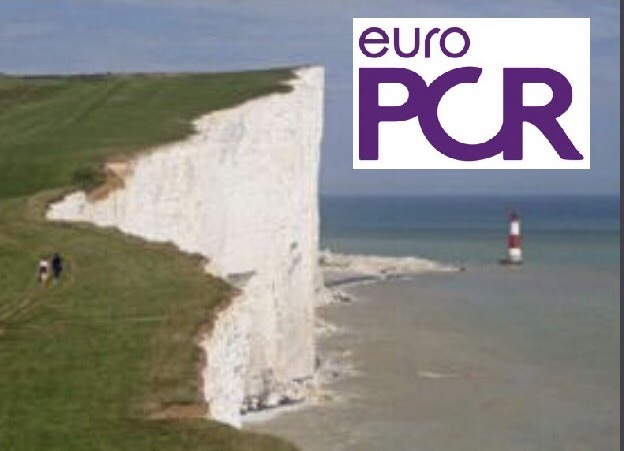 During the EuroPCR 2017, I met 45 PI of the EASTBOURNE Registry to talk about the end point and the trend of the Study. There were PI from all around the world (Spain, China, Italy, Japan, England, India, etc.). 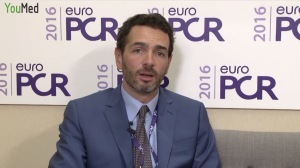 eluting Drug-Coated Balloon (SCB) for the treatment of any type of coronary lesions, including native vessel disease and in-stent restenosis.